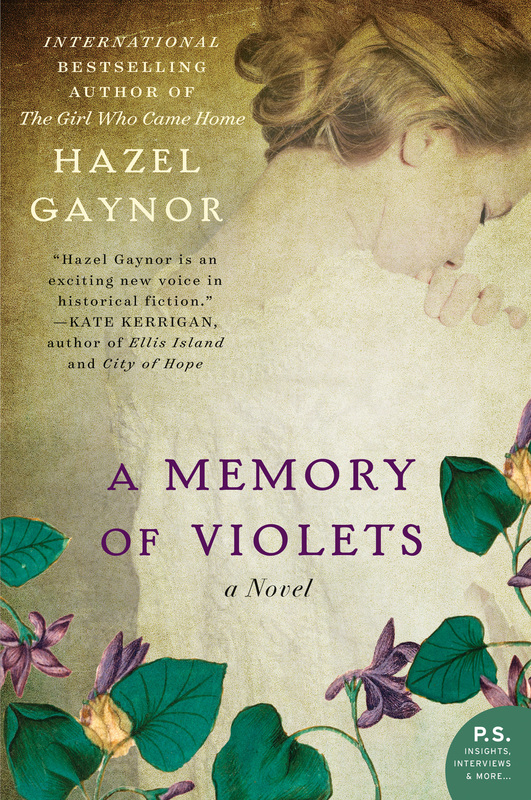 Hazel Gaynor is a novelist, freelance writer and author of New York Times best seller and RNA Historical Romantic Novel of the Year, THE GIRL WHO CAME HOME, and new novel, A MEMORY OF VIOLETS. Originally from Yorkshire, England, she now lives in Ireland. I’ve always written in one form or another. Even when I spent a late gap year in Australia in 1997 I did a correspondence course in creative children’s writing. I never really thought I could make a career from my love of writing, and only started writing seriously after leaving my professional career in 2009 when my two children were very young. Initially I wrote a parenting and lifestyle blog called Hot Cross Mum (I still love that name! ), which led to writing freelance features for press and websites in Ireland and the UK. I wrote my first full novel in 2010 (this has been hidden away under the bed ever since! ), and wrote my second full novel, THE GIRL WHO CAME HOME, in 2011. And how did your first publishing break come about? After both my novels had been rejected by publishers, I decided to self-publish THE GIRL WHO CAME HOME. The novel is based on a group of Irish emigrants who sailed on Titanic and with the centenary of the sinking approaching in April 2012, I knew I had a great opportunity to connect with the resurgence of interest in Titanic. Having said that, I wouldn’t have self-published if I really didn’t believe in my novel. I felt so passionately about the subject matter, and firmly believed that there was a readership for it. The self-published ebook sold around 100,000 copies in its first year of publication, and during that year I wrote a third novel, titled DAUGHTERS OF THE FLOWERS. However, despite the success of THE GIRL WHO CAME HOME, my third novel – also historical fiction – was rejected by twelve publishers in Ireland and the UK and at the start of 2013 my agent and I parted company. This was the lowest point for me. It was really hard to keep going, but I did. I started writing a new novel, and within a few months everything completely turned around for me. Having parted company with your first agent, do you think it important to have representation? From personal experience, I think the most important thing is to have the right agent for you. Having the wrong agent is worse than having no agent at all and I would strongly advise new writers to take their time, do their homework, find agents whose published authors they love and who they feel they could work well with and who can best represent their work. I am now represented by an amazing agent, Michelle Brower, from Folio Literary Management in New York. Michelle read THE GIRL WHO CAME HOME on her Kindle in 2013. She loved it so much that she contacted me via Facebook to ask whether I was represented and if I had written anything else. I have that message printed out on my noticeboard above my desk! I wasn’t represented at the time, and I had an unpublished novel to send to her. Within six weeks of that initial contact from Michelle, she had my two books – THE GIRL WHO CAME HOME and DAUGHTERS OF THE FLOWERS – at auction with three major publishers in the U.S. In June 2013, I signed a two-book deal with William Morrow, an imprint of HarperCollins. THE GIRL WHO CAME HOME was republished in paperback in 2014 and the retitled A MEMORY OF VIOLETS was published earlier this year. I am currently editing my third novel for HarperCollins which will be published next year. Do you write every day, Hazel? And how is your writing time structured? During term time I am at my desk in the attic, Monday to Friday, from 9am-2pm, while the children are at school. I spend this time writing, researching, promoting, updating my website – any number of writing-related tasks. When I’m writing early drafts, I try to spend all my writing time just writing, and use the evenings to focus on admin/interviews etc. I try not to write at weekends, but when the pressure is on, it happens. When I’m not writing, I’m constantly thinking about my characters and figuring our plot issues. They often unravel themselves when I’m out walking, or in the shower! I do try to maintain some structure to my writing, but during school holidays I just have to grab whatever time I can. Often this is very early in the morning or very late at night. So you also take some responsibility for the marketing and promotion of your work? Absolutely! I would be worried if a writer wasn’t! A significant portion of my ‘desk time’ is dedicated to marketing/PR activities. Authors are very visible now and readers want to be able to connect with them through all forms of social media, as well as in person at festivals and conferences etc. Authors know their books better than anyone, so I would always encourage the author to be very involved in the promotion of their books and to work with their publisher to generate ideas. Authors often have really strong local networks which a publicist in another country (in my case the US and UK) might not be as strongly connected into. What draws you to write historical fiction? It’s a genre that is often misunderstood! Far from being stuffy and boring and using old-fashioned unfathomable language, historical novels are as dramatic, engaging, emotionally compelling and as readable as contemporary set novels. In fact, for me, the fact that the stories and characters, events and settings in historical novels are based in fact, makes them even more dramatic, engaging and emotionally compelling. That’s why I’m drawn to the genre; to discovering fascinating and forgotten stories, events and people from the past. My own brand of historical fiction is set in the twentieth century. 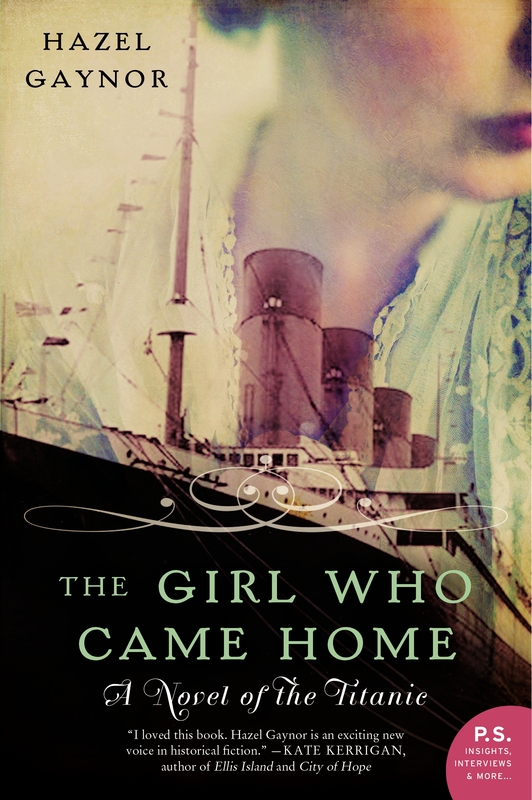 I’ve written about Irish emigrants on the Titanic in THE GIRL WHO CAME HOME. I’ve written about orphaned flower sellers in Victorian London in A MEMORY OF VIOLETS. In the forthcoming anthology, FALL OF POPPIES, I’ve written about events on Armistice Day in WW1. In my new novel, I’m writing about a young maid trying to make it in the theatre in 1920s London. And write what you know? Agree or Disagree? Write what you want to know. Write the book you want to read. Write about something you will still be passionate about in five, six, twenty years’ time, when (hopefully) people are still discovering your book and want to talk to you about it. Thoughts on how to handle negative reviews – if you’ve ever had any? It is never easy, but an unavoidable part of the creative process. Some people will love what you produce, others won’t. I try not to dwell on reviews – good, bad or indifferent. Reviews are for other readers, not for the writer. Of course, it is very tempting to read every single review, but my one piece of advice is to NEVER engage with a negative reviewer. You simply cannot win that argument. Let it be. Go for a walk. Have a good cry on your friend’s shoulder. Pour a large G&T, but NEVER publicly respond or engage in a debate about it. Can you share with us what you are working on now? I’m currently editing my third novel, due for publication summer 2016. It is set in London in the 1920s and tells the story of a maid at The Savoy who longs to be a star on the West End stage. 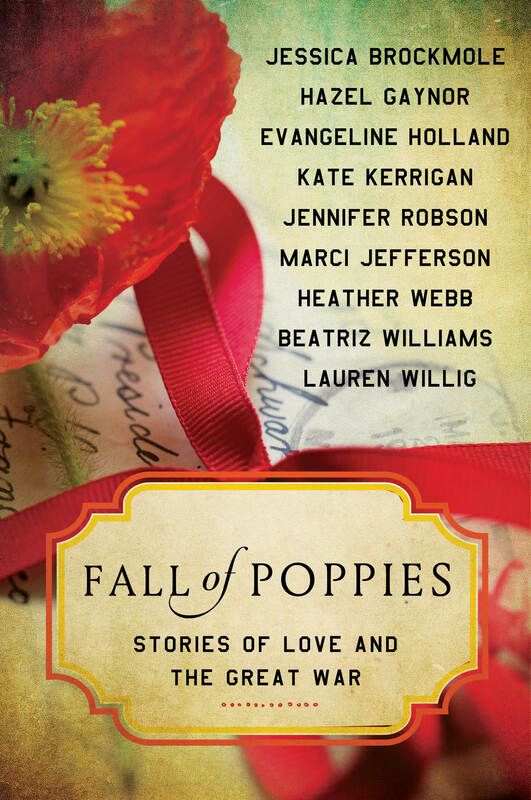 I have also contributed to a WW1 anthology FALL OF POPPIES – Stories of Love and the Great War which will be published in the US in March 2016. Nine authors have each contributed a story to the collection and we are all really excited about the release. And just for fun, name six people, living or not, that you would like to share your favourite beverage with?! It would be a gin and tonic and my drinking companions would be Audrey Hepburn. Grace Kelly, Tallulah Bankhead, Charlotte Bronte, JK Rowling and my mum. 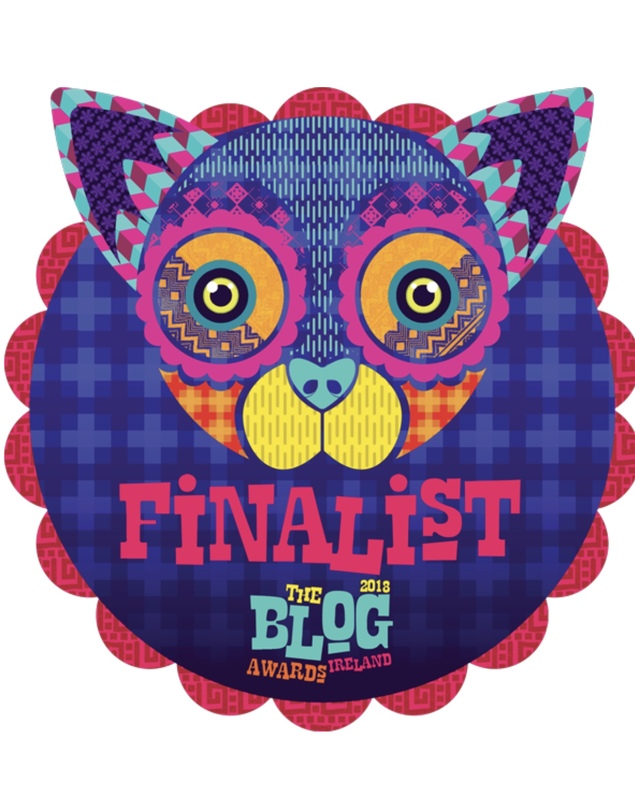 This entry was posted in Writers in Ireland Series and tagged A Memory of Violets, Fall of Poppies, Hazel Gaynor, Irish women writers, The Girl Who Came Home. I read A Memory of Violets earlier this year and it’s quite an interesting story. I’m keen to read Hazel’s other novels too. Good interview. Cheers, David. I’m looking forward to the new novel too.